Had a great few days with Tom and Paul guiding on Horseshoe lake last week. 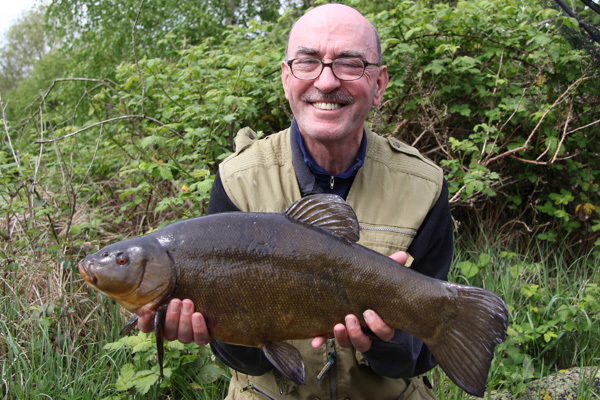 They had contacted me back in late October to book a tench session in early spring. Paul comes from Ireland and Tom lives in south London. 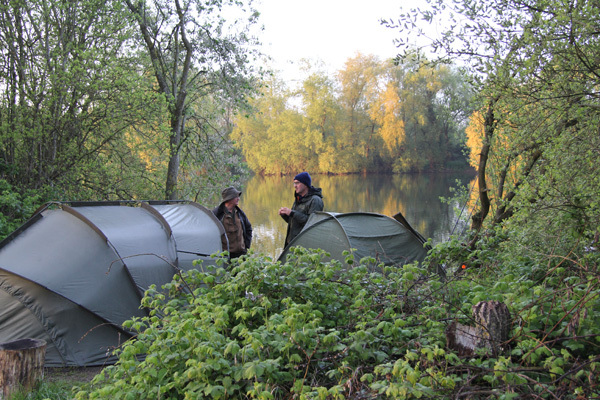 Each year they join together for a week fishing and wanted me to guide them on tench fishing. 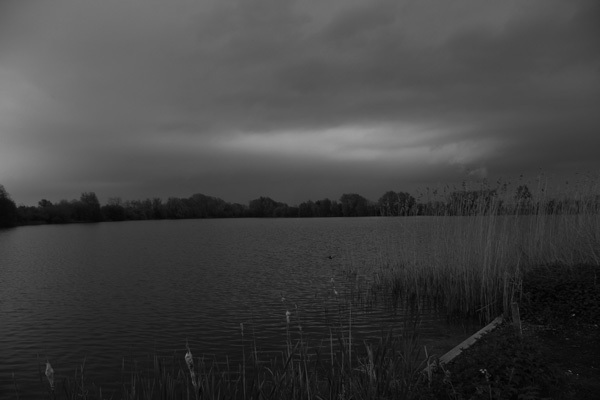 I decided on the Carp Society’s Horseshoe lake. We arrived on the first morning to find perfect conditions overcast and warm. We decided on fishing a double swim so that they could catch up on news etc. The bait was popped up sweetcorn red maggots in a method and inline feeder. The first day was spent watching Toms line he will get the joke. They were staying in the local village in a hotel. So at 8pm when they left I decided to fish with boilies and fake corn on two rods. The storm of thunder and lightening was terrific as the it moved just south of me. At 9.30pm I picked up a small tench of about 2lbs. The night passed without too much in the way of bites. Then at 4.30 the plastic corn rod roared of and I played a larger tench of about 6lbs that spat the hook out as it came over the net. Then that was it. Tome and Paul arrived at 7.30am and the normal dead maggots and hemp was put into the swim. We only had one fish for the day which was disappointing. However it was a new pb for Paul and a fish of 6lbs 6oz. The next night was even more interesting for me as I caught 3 ducks throughout the night. Not a very pleasant experience. This kept me awake for most of the night. The next morning arrived with mist coming up from the lake as the air was cool. Again Paul and Tom arrived to fish. Of course I wasn’t impressed by their full English breakfast they had had!!!!! 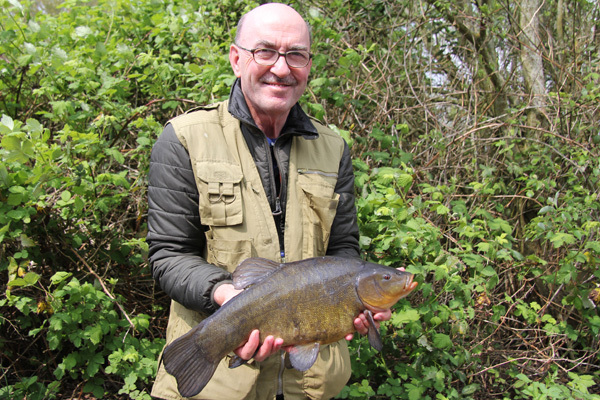 This day proved to be much better with a couple of tench caught. It was very interesting that I didn’t put too many dead maggots in the swim and little hemp. The weed wasn’t growing too bad and we were fishing on silk weed. We had now changed to in-liners and plastic on the hook with a couple of live maggots on the hook. 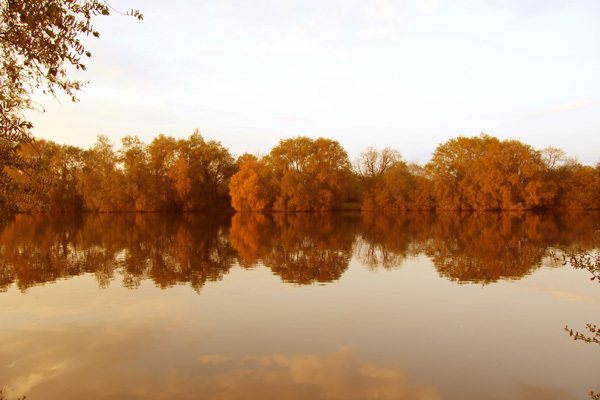 The evening was a stunning sunset and the trees glowed in the late sunshine. The evening for me was much quieter no ducks hooked and no bites other than a small 1lb tench at dawn. Great to see these little fish coming through. The next morning I didn’t put any bait out other than the feeders. 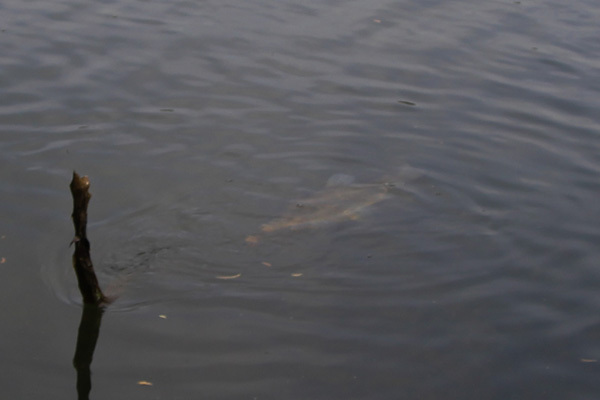 A few tench could be seen rolling around in summer bay so things looked good. 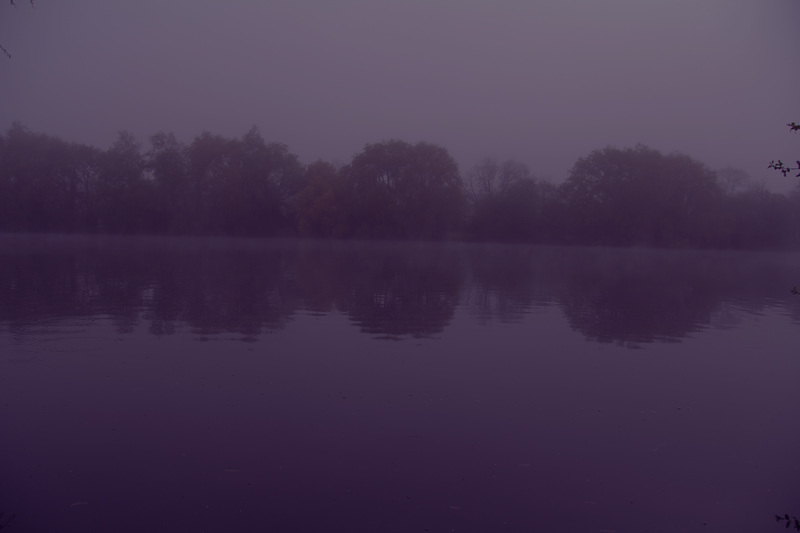 Rain has come during the night and the morning was bleak however perfect tench conditions. I don’t remember how the catch went but I think Tom had another nice male tench and then a female that was not in the best of order, it had some tail damage. It was quite obvious by now that the tench were feeding on the left hand area and Tom and Paul each had a rod on this hot spot. 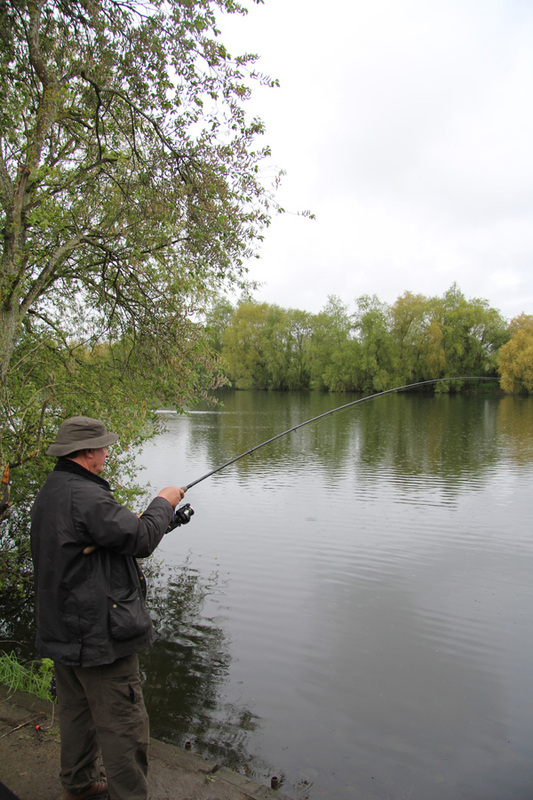 It was Paul’s rod that roared off and he was soon playing a good fish that fought really well. It was soon evident that it was a good fish as it kept taking line from the reel. After a great fight Tom was the net’s man he landed a huge tench and a new pb for him. It was poring with rain and here I was hoping to pack up in the dry, but hey ho we were all happy bunnies. Tome and Paul had plenty of time for exchanging news and having a great time. Soon thought the sun came out and everything started to dry. 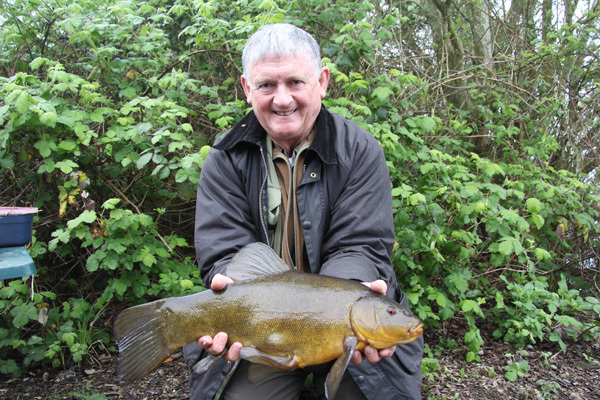 The tench continued to feed and a couple more were caught. Tom had a nice 7lber later in the afternoon which was the last one caught. So a great session with 10 tench caught. I think both the guy’s enjoyed the session. I always ask what they had learnt and they gave me 3 important points. This entry was posted on Monday, May 5th, 2014 at 7:50 pm	and is filed under Uncategorized. You can follow any responses to this entry through the RSS 2.0 feed. Both comments and pings are currently closed.